Damn… Prince has moved on. And I’ve been waiting for the right time to write about his impact. Today feels right because I just watched the most incredible cover tribute to Prince… check the video below, D’Angelo & Princess sing “Sometimes It Snows in April”. 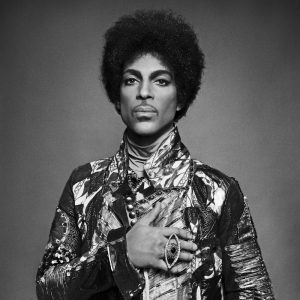 Prince wasn’t a God… but he was a superhero. He was and is fearless… black… excellence! PERIOD. Fearless in his music, artistic expressions, business and blackness. FEARLESS! I’ve always seen him as an inspiration. Even though, I always chose Mike Jack in the classic “Prince vs. Michael Jackson” conversation. In my mind, Mike Jack was a God. Like, on the level of an fantastic and unbelievable being. Mike Jack’s music, creativity and antics made him completely unrealistic way. Prince, on the other hand, always felt like a rando from Minneapolis that was so ahead of his time, that we still don’t get it. His creative powers are completely unbelievable… but he always seemed like a real dude. And that made the music mean so much more. It was inspiring to think that man (not just a man… like mankind), especially a black man, could create at that level. Prince is a superhero.